The FTE automotive Group is your competent partner in the sector of development and production of drive train and brake system applications for the automotive industry. 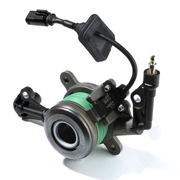 FTE automotive offers an extensive range of brake and clutch parts on the spare parts market for passenger cars. There range of spare parts includes over 8,000 brake and clutch parts for almost 20,000 vehicle types – all in original equipment quality! they are continuously extending there range, in order to supply you with high quality spare parts. Spare parts for new vehicle models are available to the Aftermarket within 18 months. The extensive range which offers exceptional market coverage from one of the leading manufacturers of hydraulic clutch actuation systems. 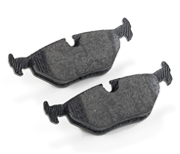 OEM quality spare parts pay for themselves, especially for commercial vehicles, whose braking system have to cope with extreme loads every day. On the independent spare parts market, they offer an extensive range of commercial vehicle spares for brake and clutch parts. There range includes over 2,000 parts numbers for almost 6,500 vehicle models. For more information on the FTE products please contact the Intrade team.